Company cars are taxed as a Benefit-In-Kind (BIK). 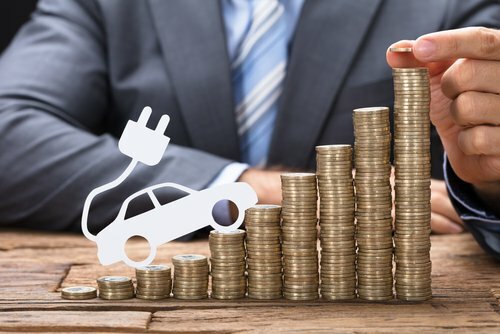 To take advantage of lower company car tax rates anyone with a company car is being encouraged to choose one with lower CO2 levels, and since the start of this tax year lower NOx emissions. Currently the amount of car tax the company and employee pay is based on the ‘PIID’ which is calculated as a percentage of the official value of the car and the amount of CO2 emissions. Each car is put in a BIK percentage band to work out the company car tax to be paid. For an employee the BIK is taxed at their personal tax rate and then normally collected through PAYE. How will BIK rates change for company car users between 2018 and 2021? For RDE2 diesel cars and petrol cars the company car BIK rate is currently 19%, and there are 1% additions as the CO2 bands increase, up to a 37% limit. Since April 2018 most current diesel models pay an additional 4% diesel car tax to cover the increased levels of NOx emissions. As diesel hybrids are not considered diesel-powered cars for tax purposes the 4% extra charge does not apply. If you drive a hybrid car you will receive a lower BIK rate because these cars have lower CO2 emissions. BIK rates will be reduced for owners of electric cars and ultra-low emission vehicles (ULEV) by 2020. Before 2020 the rate of company car tax increases for ULEV cars sub-75g/km. In 2019/20 the tax band is still 16% for zero emission cars. It is only in 2020 when the company car tax reduces dramatically to 2% for ULEV vehicles. The new ULEV rates will come into force in 2020/21 and then any vehicles with CO2 emissions below 50g/km will pay the lowest tax. The government are also looking to incentivise anyone with an electric only car so 1-50g/km hybrids will be grouped together depending on their mileage range. This means that an electric vehicle that can travel 70-129 miles will only pay a 5% rating.